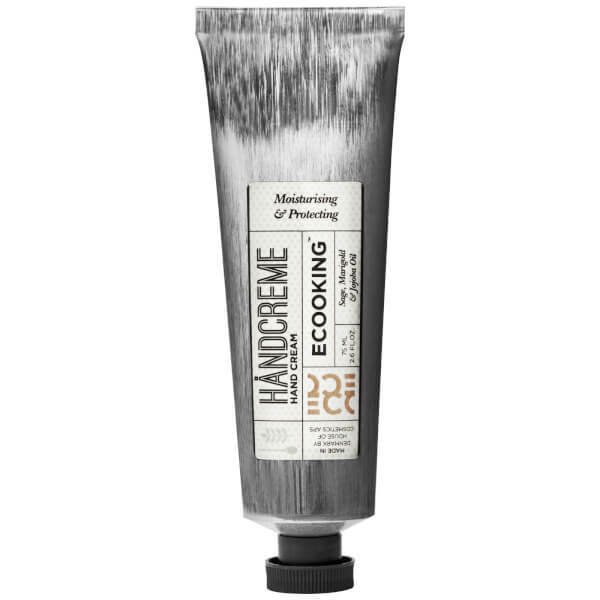 Protect and nourish hardworking hands with Ecooking Hand Cream, a moisturising formula enriched with a cocktail of organically grown oils and plant extracts. Creating a veil of moisture on hands, the reparative hand cream works to deeply hydrate while providing healing and nourishing properties to leave skin feeling soft and comfortable. Suitable for all skin types and the entire family, the cream contains no added perfume and is packed full of beneficial ingredients, including Chamomile extract, Marigold extract, Chamomile extract, Jojoba Oil and Aloe Vera. Skin feels moisturised and protected. 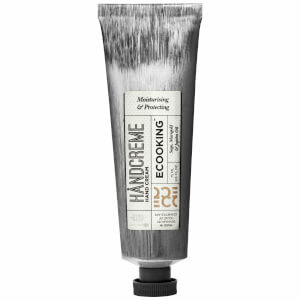 Ecooking Hand Cream can be used by the entire family and by all skin types. Massage into skin as and when required. Aqua**, Prunus Armeniaca Kernel Oil*, Prunus Amygdalus Dulcis Oil*, Sesamum Indicum Seed Oil*, Simmondsia Chinense Seed Oil Glycerin*, Cetearyl Wheat Straw Glycosides, Cetearyl Alcohol*, Ethylhexylglycerin, Phenoxyethanol, Salvia Sclarea*, Citric acid, Calendula Officinalis Seed Oil*, Prunus Barbadensis*, Parfum**, Geraniol**, Limonen/d-Limonene**, Linalool**, Citronellol**.